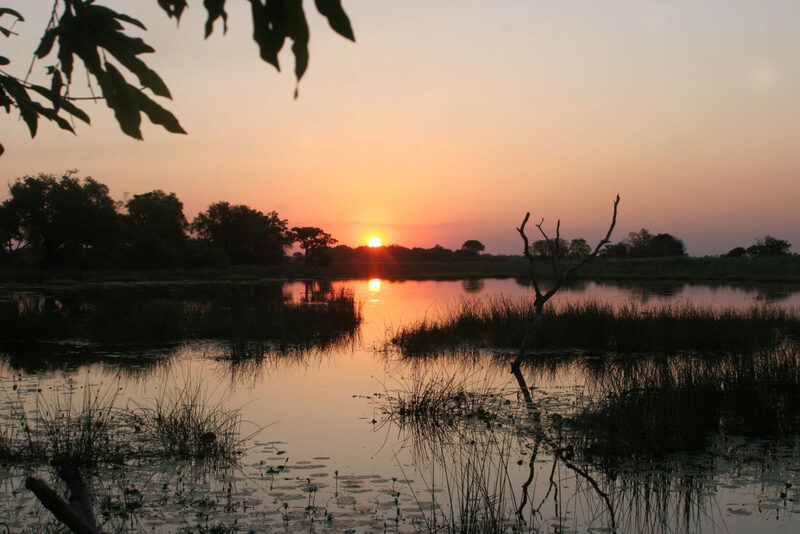 Located in the heart of the Okavango Delta in a private concession to the west of the Moremi Game Reserve. 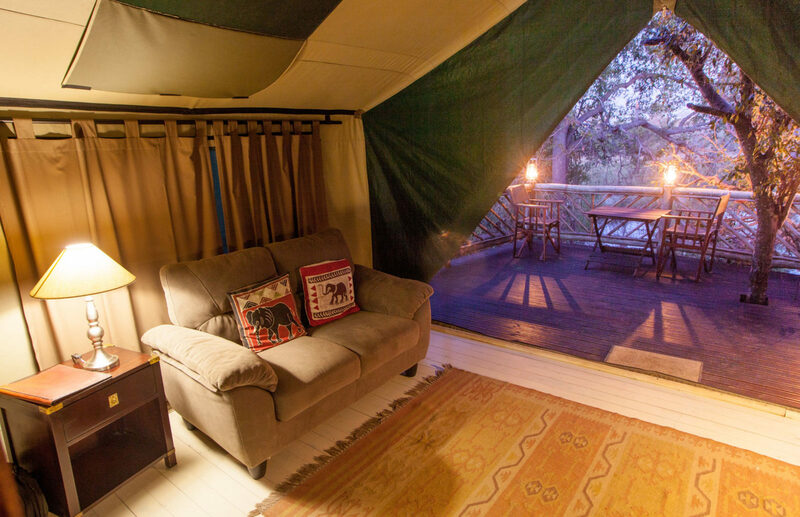 One of the Delta’s more affordable camps, yet offering consistent good sightings, Pom Pom is located in the heart of the Okavango Delta in a private concession to the west of the Moremi Game Reserve. 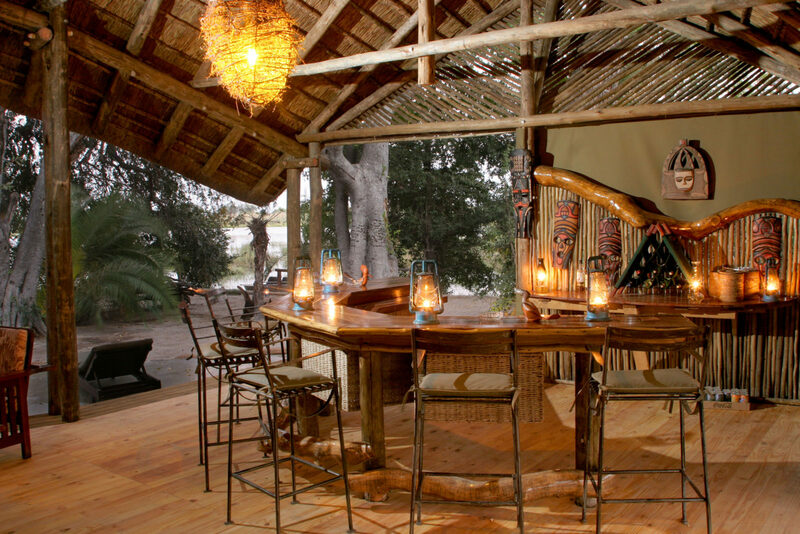 Classically designed in the style of safari camps of old, the camp overlooks the lily-strewn Pom Pom Lagoon. 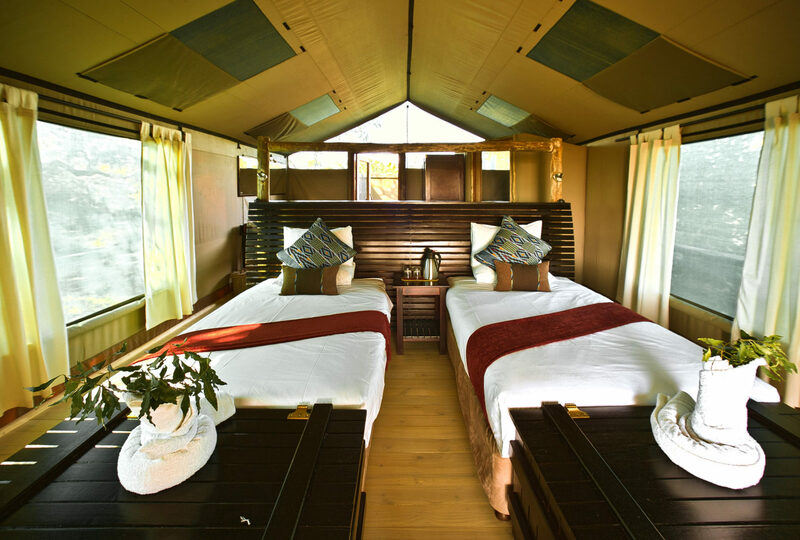 Pom Pom Camp offers nine traditional large Meru-safari-tents with en-suite showers and flush toilets, one of which is a family tent with shared bathroom. 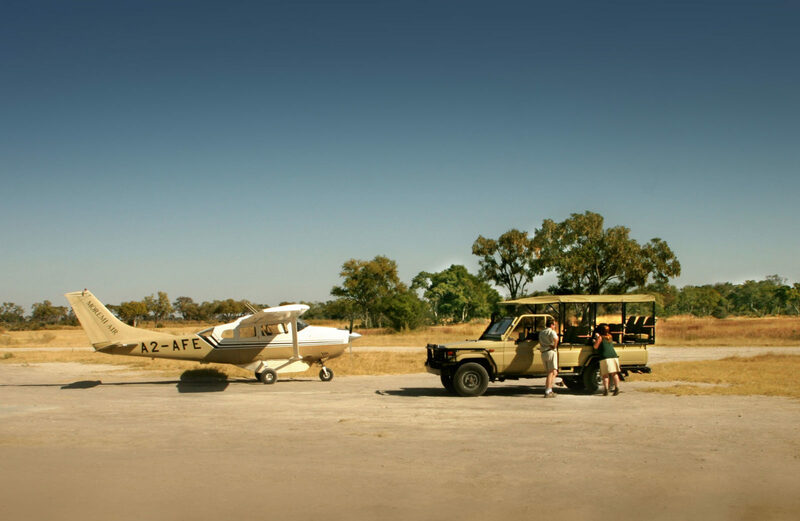 The showers are enclosed, but roofless for a true bush experience. 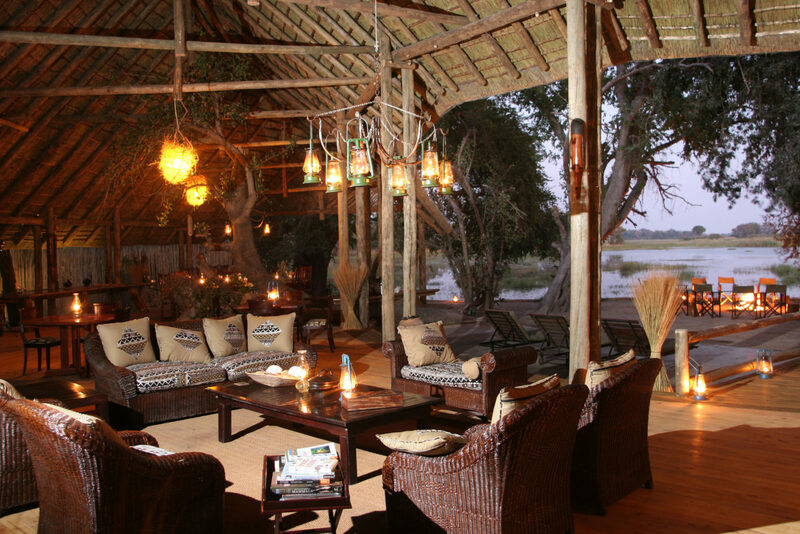 The camp offers a beautiful dining room, lounge area and bar looking out to the picturesque lagoon. 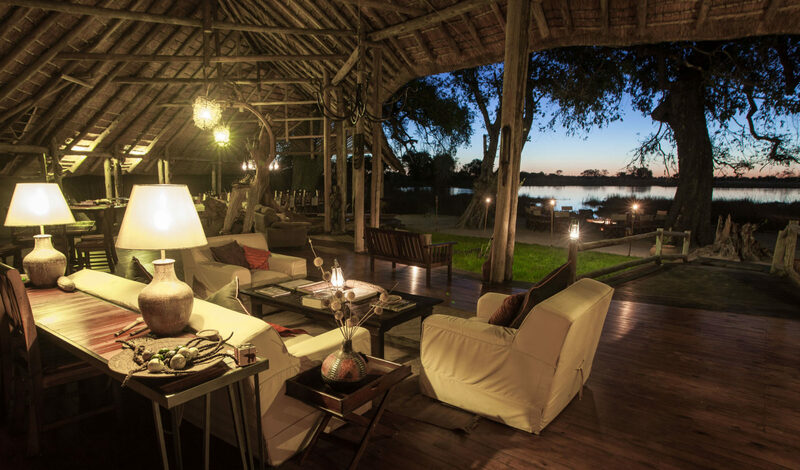 In the evenings you can relax around the open fireplace right at the edge of the lagoon. 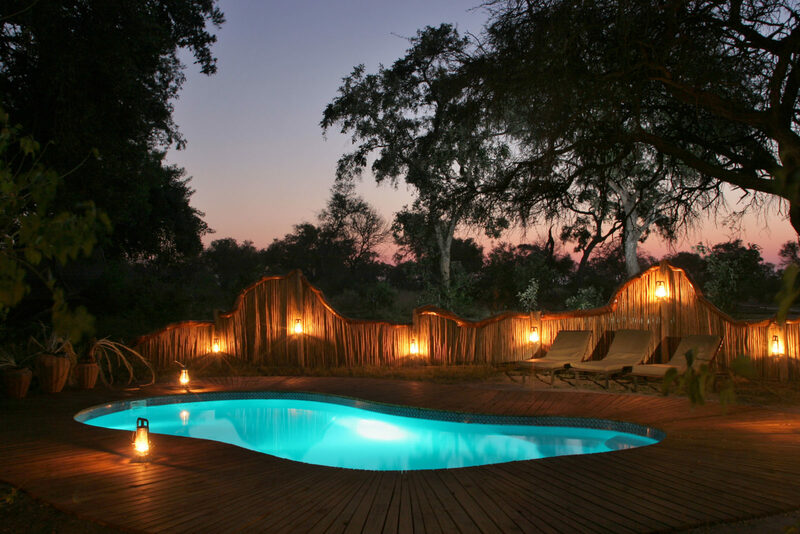 Pom Pom Camp also has a nicely sized plunge pool to escape the midday heat. 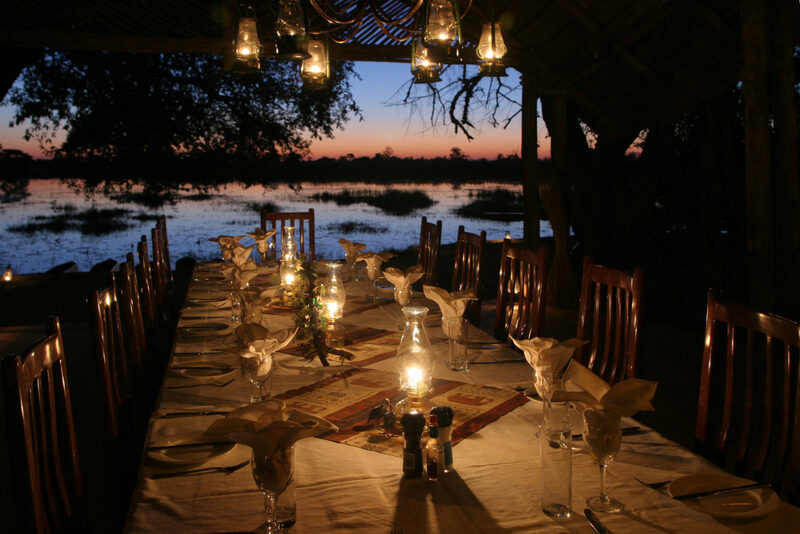 Activities included in this delta paradise are game drives, night drives, walking safaris and mokoro excursions, all taken with local expert guides. 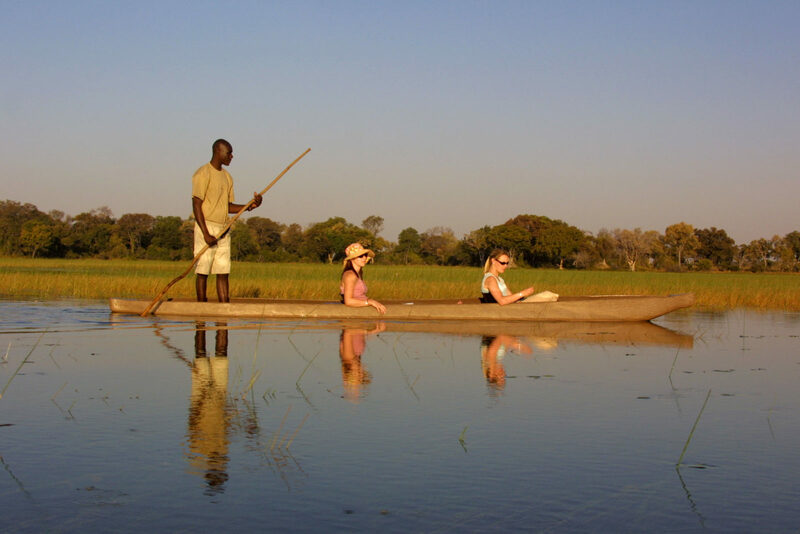 The tranquillity of the delta and the beauty of its winding waterways, open lagoons and tree islands will be a highlight of your safari. 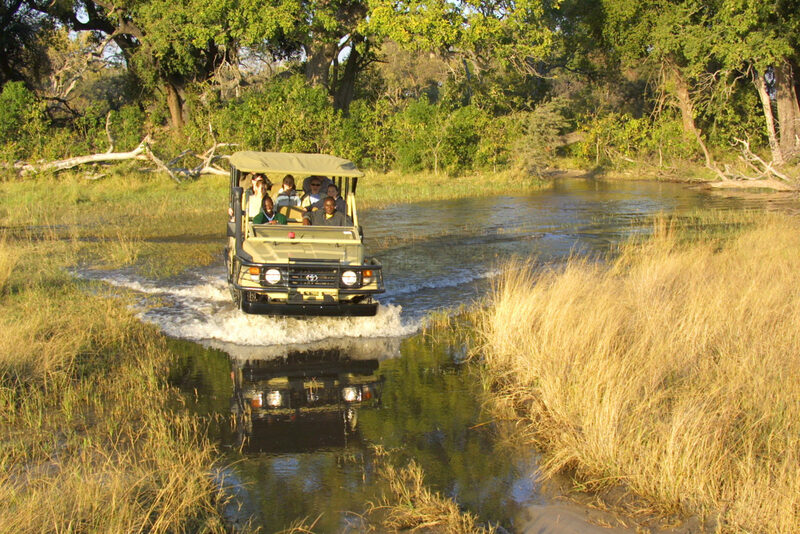 Hippo and crocodile are found in the deeper lagoons and big predators such as lion and leopard, as well as buffalo, giraffe, zebra and wildebeest move frequently through the area. 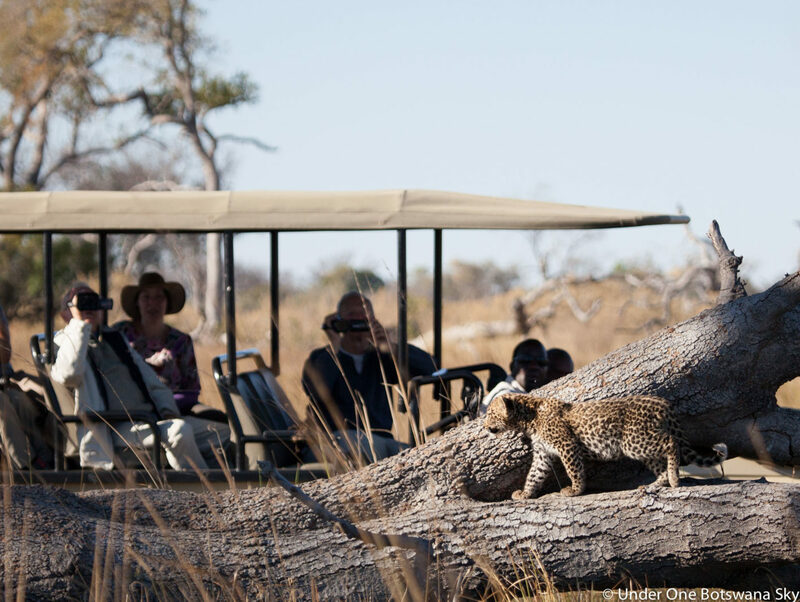 If you are lucky, some of the nocturnal animals such as serval, civet and genet may be seen on night drives. 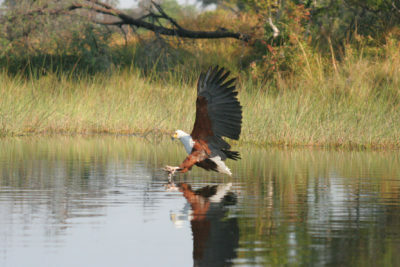 Birding enthusiasts will enjoy the regular sightings of Pel’s fishing owl, African fish eagle, giant eagle owl and white backed vulture. 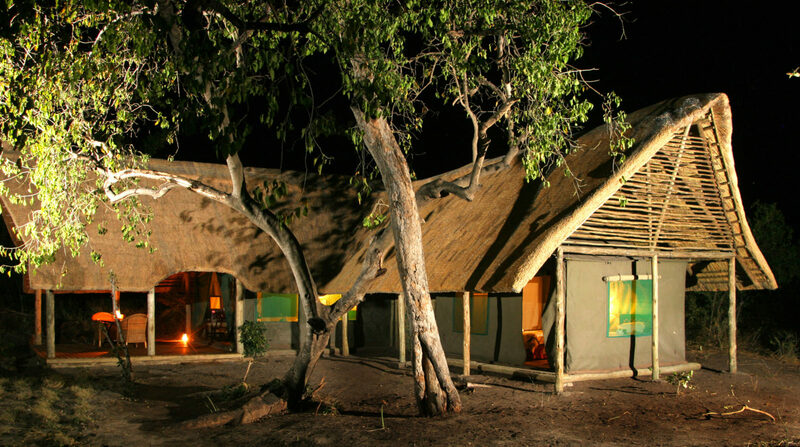 Tented rooms, open showers, open-air fire, swimming pool, dining room, bar and lounge. 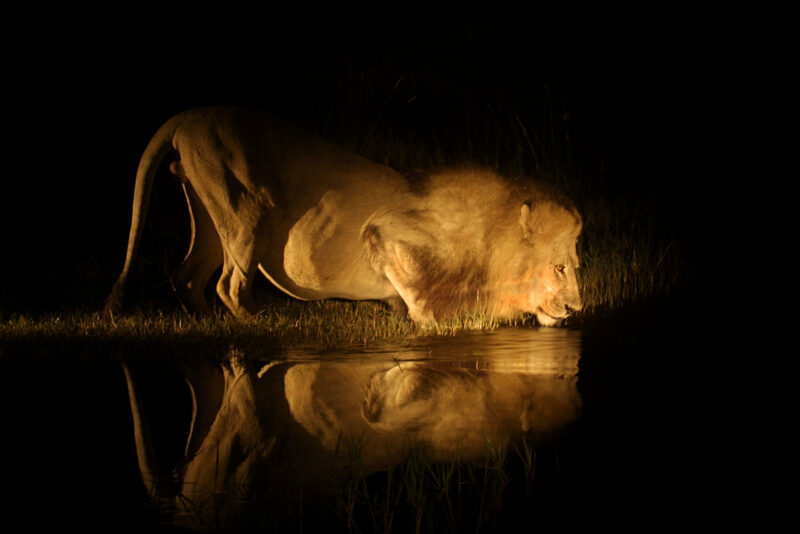 Hippo, crocodile, lion, leopard, buffalo, giraffe, zebra, wildebeest, serval, civet, genet, Pel’s fishing owl, African fish eagle, giant eagle owl and white backed vulture. 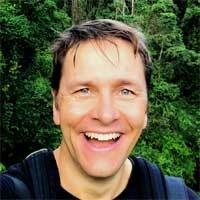 Keep an eye out for rhino here. Previously extinct in the area, rhino are being reintroduced and have been known to wander through this concession on occasion.